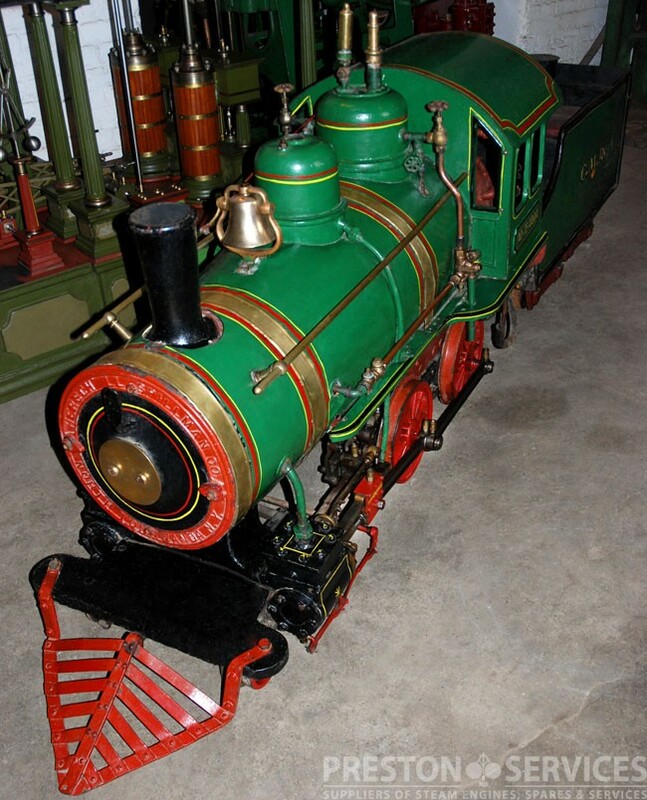 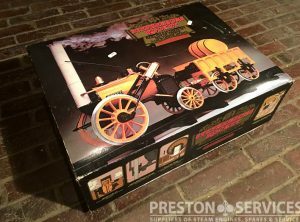 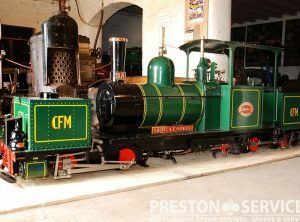 Designed by the famous Cagney brothers, this amusement park 4-4-0 locomotive was built by Herschell Spillman Co of North Tonawanda, N.Y. 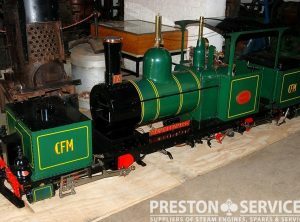 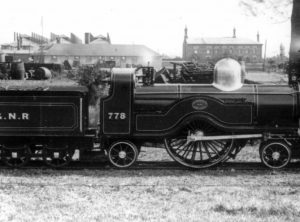 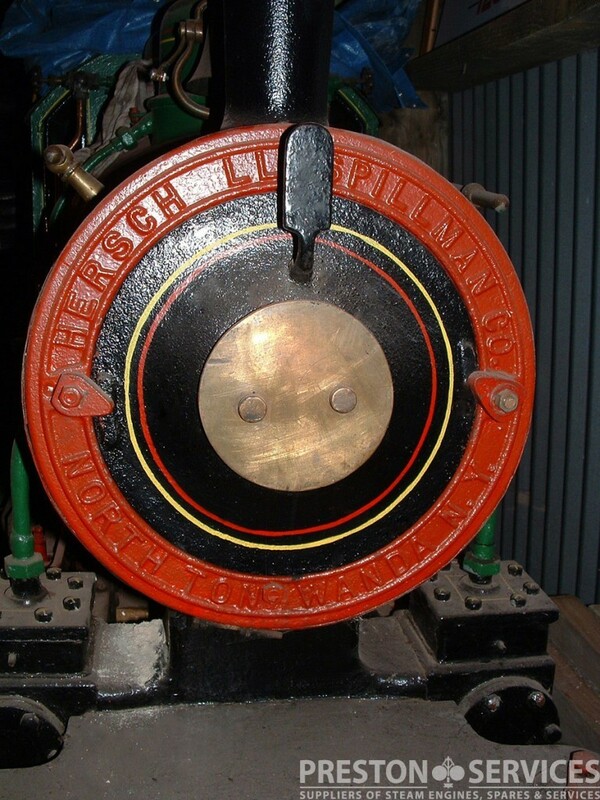 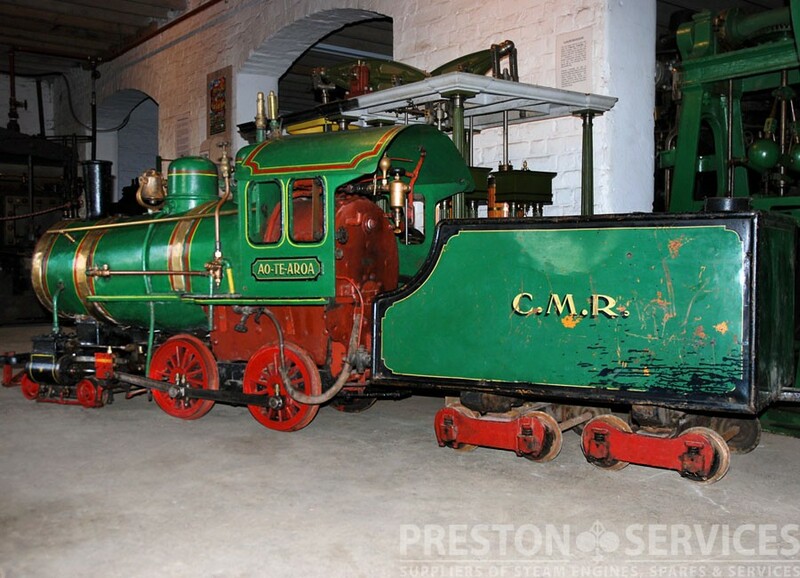 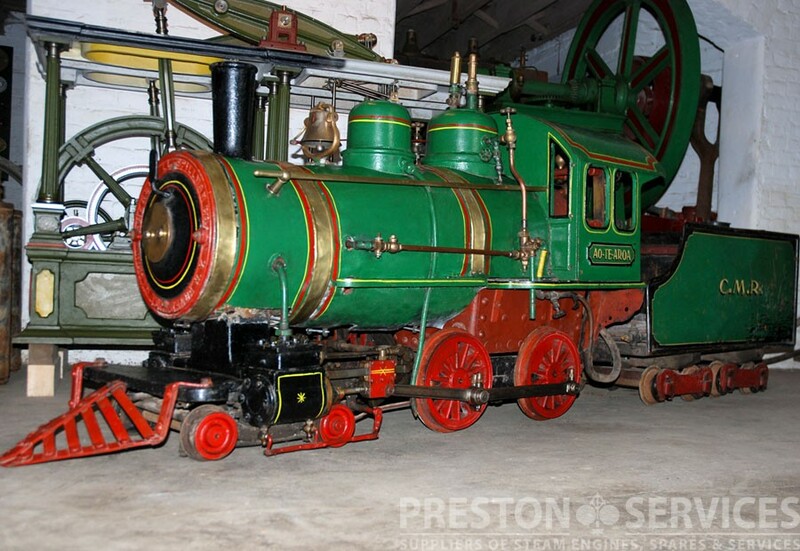 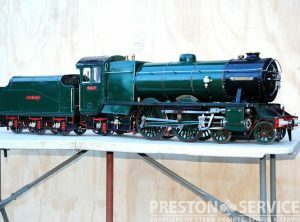 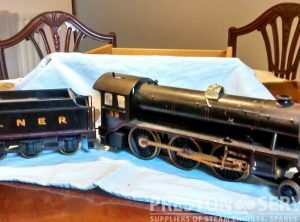 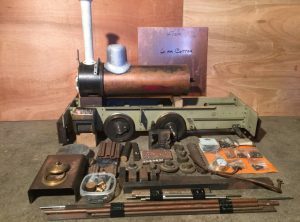 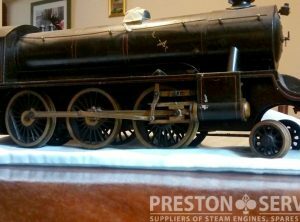 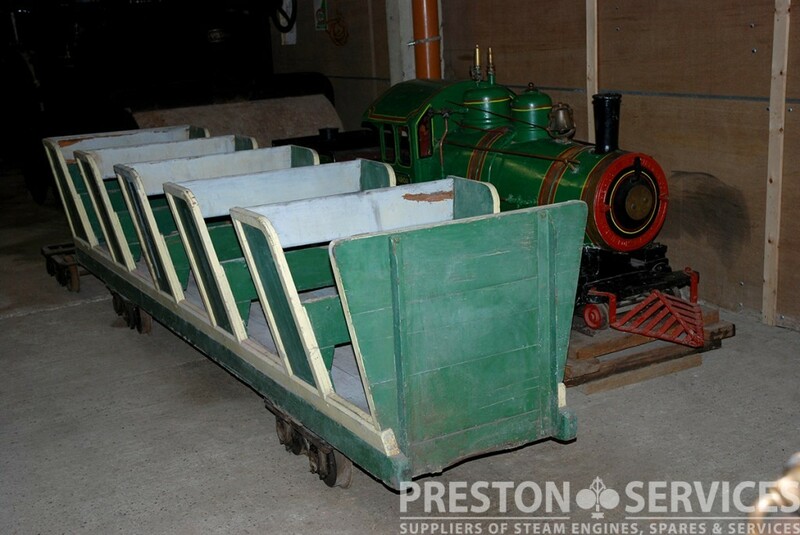 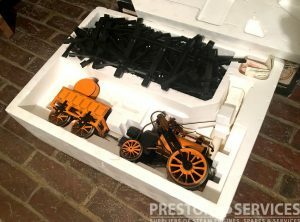 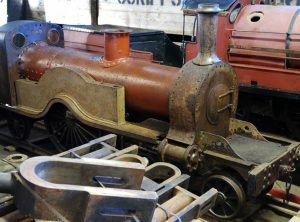 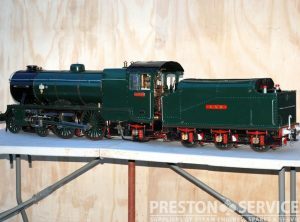 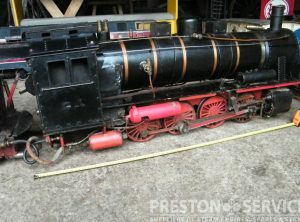 Typical Cagney in style, this locomotive is highly original and the rivetted boiler is in very good condition. 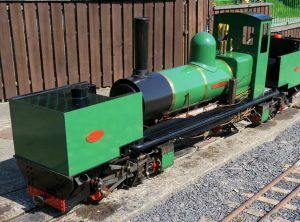 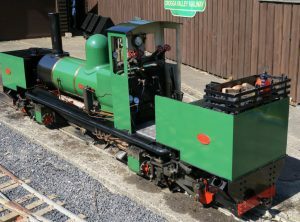 Complete with tender and most of the original fittings, and generally very little altered, this loco has one original open carriage and bogies for a second. 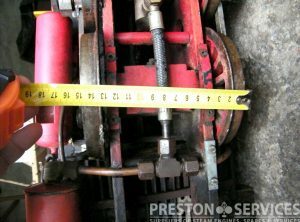 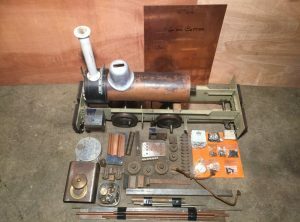 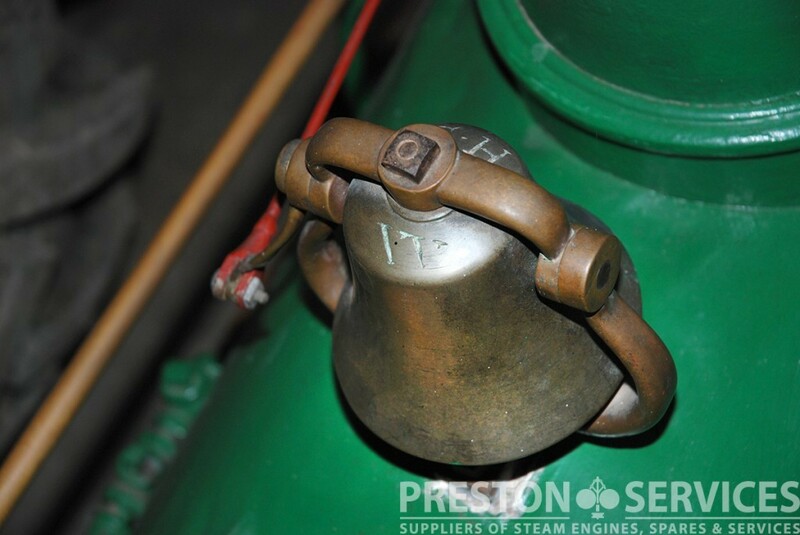 In good working condition, with current boiler certificate.